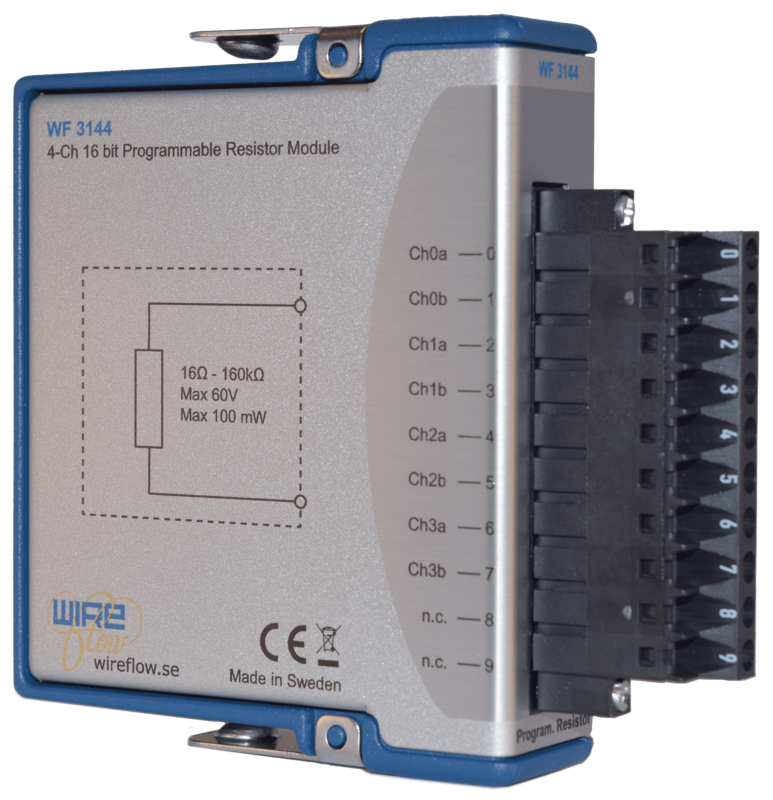 The WF 3144 is a 4-channel, 16-bit, Programmable Resistor Module for Compact RIO. 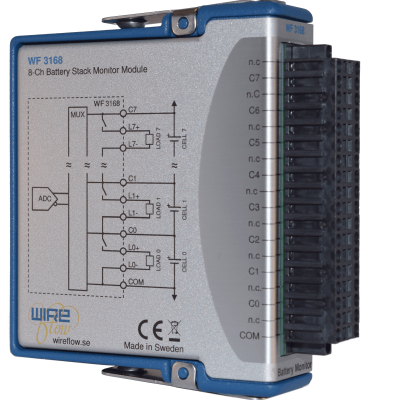 Each channel is galvanically isolated, making it ideal for sensor simulation. The 16-bit resolution is non-linear with finer steps at lower resistance values. It could, for example, be used to emulate a PT100 sensor with a range of 40–180Ω/-150–+200°C with a resolution of 0.1°C. Example files referenced in the document can be found HERE. 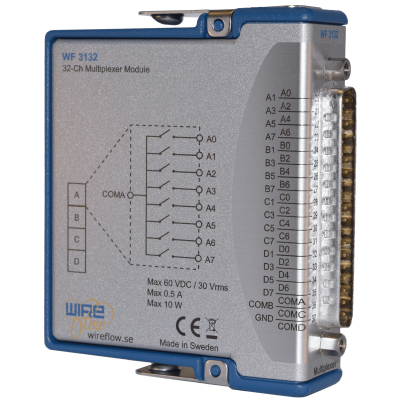 A: The WF 3144 and uses a 10-Pos Plug. You should connect a terminal block for 10-Pos Plug to the module. This terminal block is included together with the module when shipped from WireFlow. – Pressure sensors, Thermistors, RTDs etc. 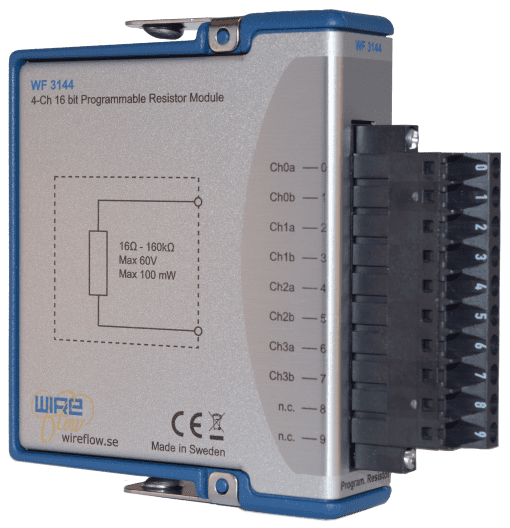 FAQ: How is the WF 3144 Programmable Resistor Module designed?